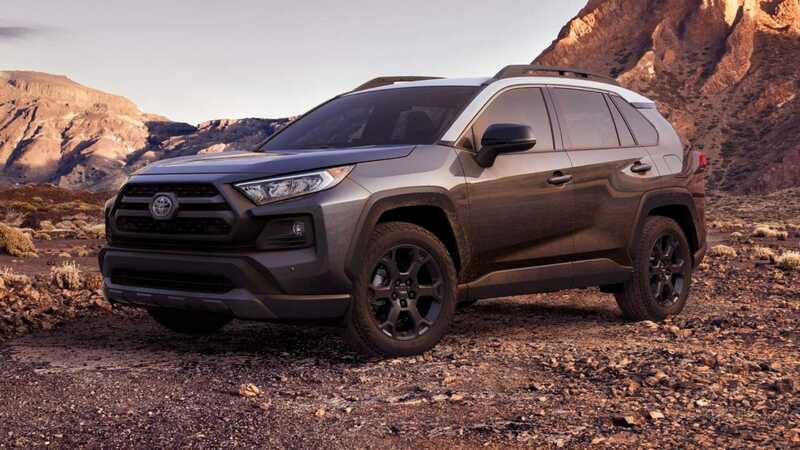 Toyota revealed the fifth generation of RAV4 last year and the company is expanding the RAV4 range with a new TRD Off-Road variant, which made its debut at the 2019 Chicago Auto Show. The new variant is based on the Adventure spec model and the upgrades have been developed by Toyota Racing Development (TRD). The inspirations for the new RAV4 TRD Off-Road comes from the rally-ready model showcased last year. The company is offering the new variant in different colour options like Midnight Black or Lunar Rock and Super White or Ruby Flare Pearl, but the roof will be finished in Ice Edge White colour. 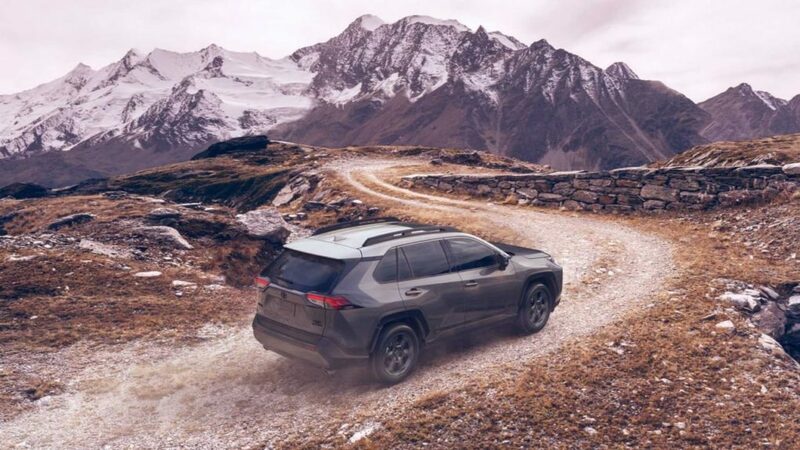 The exterior design is similar to the regular Adventure trim and the new variant comes with TRD body kit while most of the changes are under the skin to improve off-roading. The new off-road variant comes with 18-inch matte black finished multi-spoke alloy wheels and it comes with special Falken Wildpeak Trail tyre for all-weather conditions. This new tyre has been specially created for the RAV4 Off-Road variant and it is snow rated as the square shoulder design will reduce punctures while the open-shoulder layout makes it unique also. The engineers have also tuned the suspension to improve ride quality during off-roading and the rebound control has been improved. This has helped the RAV4 to offer better body control also. The interior doesn’t come with major changes like the exterior as it has been carried over from the regular model. But the new variant comes with all-weather floor mates with TRD branding, SofTex seats, which is more durable than leather and TRD stitching on the front headrests also. 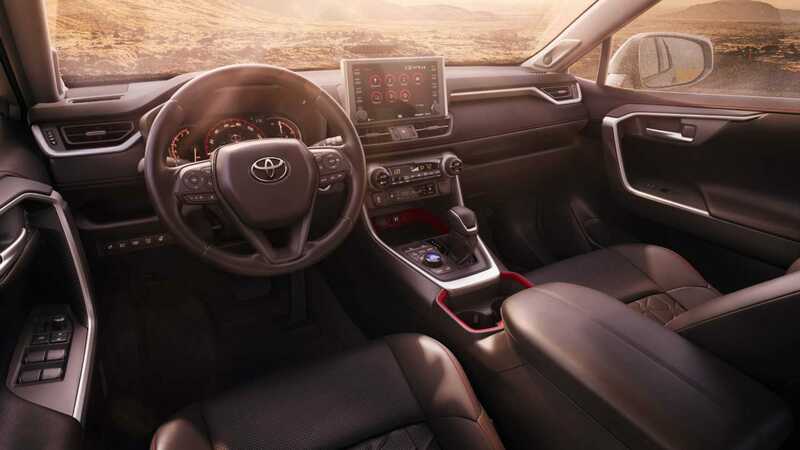 The RAV4 gets features like new 7-inch touch screen infotainment system, 11-speaker JBL audio system, Dynamic Radar Cruise Control, Road Sign Assist and more. The new generation model is based on the TNGA platform and it is powered by a 2.5 L petrol with two electric motors, the combined output is 222 PS. The power is sent to all four wheels via CVT gearbox and the pricing of a new variant is not yet revealed.